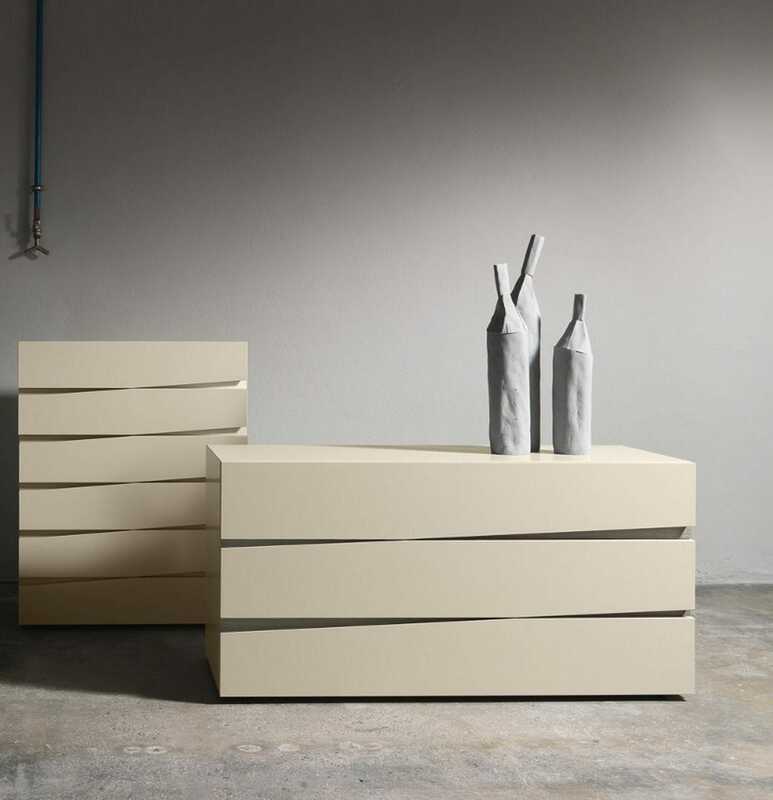 The structure and the fronts of Jazz night stands and dresser are realized in matt laquer colours. As well as having an original aesthetic impact, the peculiar oblique cut on the front panels is also used as a practical recessed handle and is available in a matching shade or in a different colour, with a lacquered or "aged" oak finish. 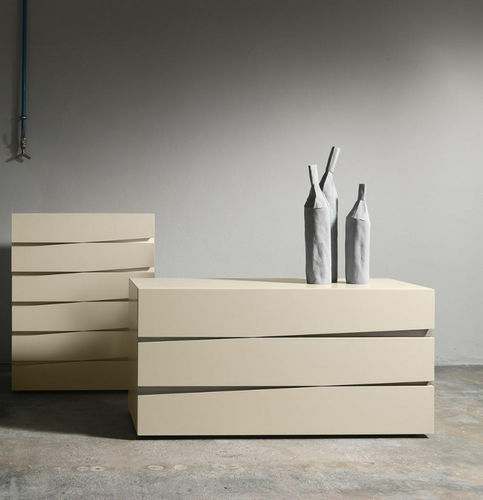 All the drawers are soft–close.